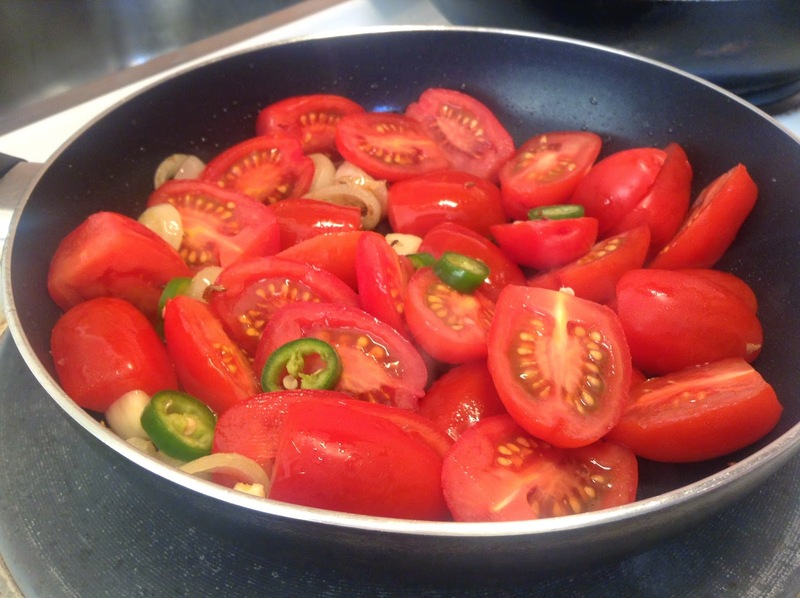 Plum tomatoes are little tomatoes that come in a cute bunch. They are also known as roma tomatoes. They are the least juicy of all the varieties of tomatoes. These are thick and have fewer seeds than other tomatoes. Basically, they are used in pasta sauces or for BBQ. But we made another use of these tomatoes. I discovered we could just fry them with the regular spices and use them as a side dish. My husband likes to keep things extremely simple on weekdays, so this is the quickest and the simplest thing I can do for him whenever I don't feel like cooking. Basically this is a sort of chutney, but he has it with chappatis just like that. So this is an absolute favourite in our house. We make this with plum tomatoes mostly, but there are times we don't have enough of them, so we make this even with the regular tomatoes. 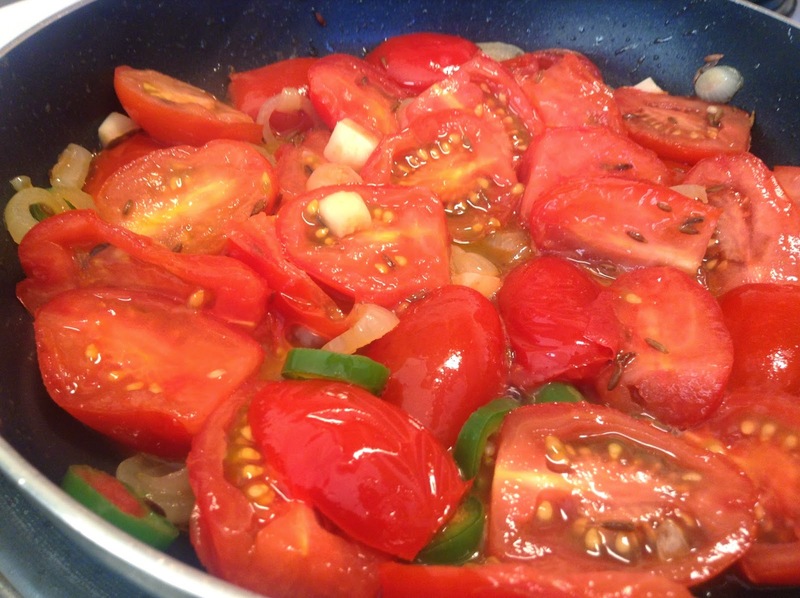 Plum tomatoes are a bit sour so I add a little sugar in it, while I skip it while doing so with the regular tomatoes. 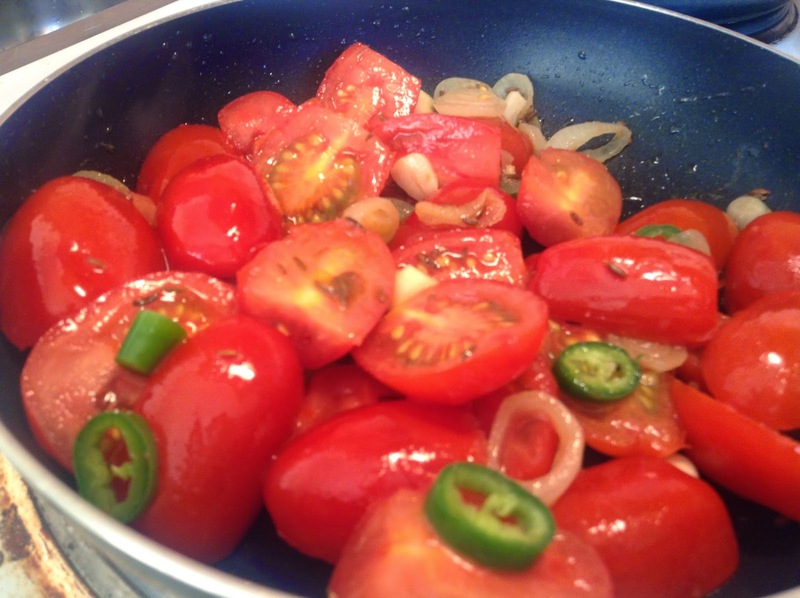 Try this for once, probably can be the easiest and wonderful side dish you ever prepared.